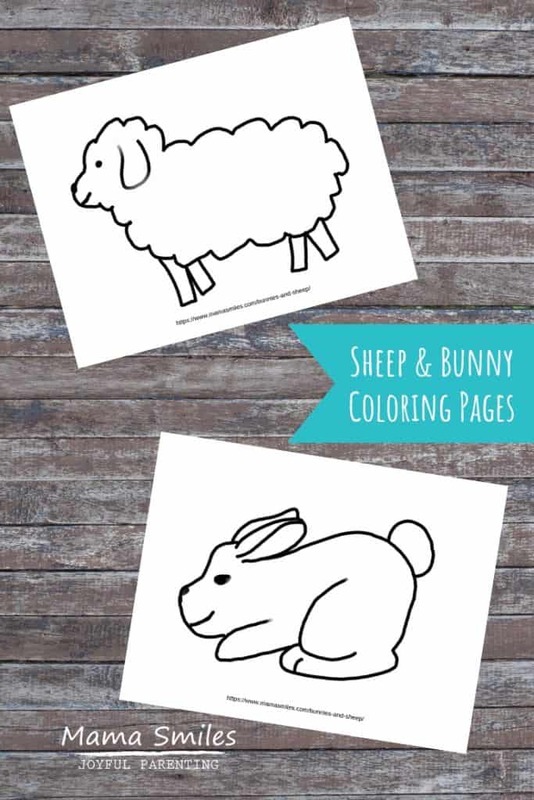 Bunny and sheep coloring pages to celebrate spring, plus a fun multi-sensory way to decorate them with toddlers and preschoolers. 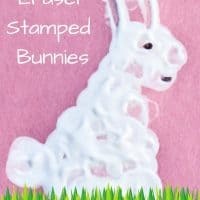 Kids will enjoy making eraser stamped bunnies and eraser stamped sheep. Spring is the perfect time to color in sheep and bunnies! I made these coloring pages after my kids used similar pages at our library (ten years ago! That’s how you know you’ve been blogging forever). These coloring pages are fun to color or paint. They also make a great foundation for this cute bunny and sheep sensory spring craft! 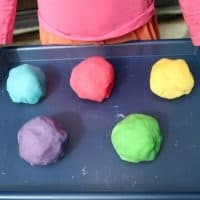 This spring sensory art craft only takes a few minutes. Kids can also do this activity after first coloring the bunny and sheep pages. This is another library craft. There’s nothing spectacularly original about it, but it was one of Emma’s all-time favorite crafts, and I remember enjoying it when I was around her age. She loved using the glue stick all on her own, and she enjoyed arranging the cotton balls on her sheep and bunny. It’s a good reminder that, while we can plan activities for our children all we like, they get to decide what they do with the activity! 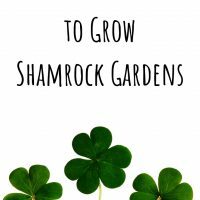 Are you ready to try this activity with your kids? Download your printables from my Teachers Pay Teacher site. You can also download them by clicking on the sheep image below. 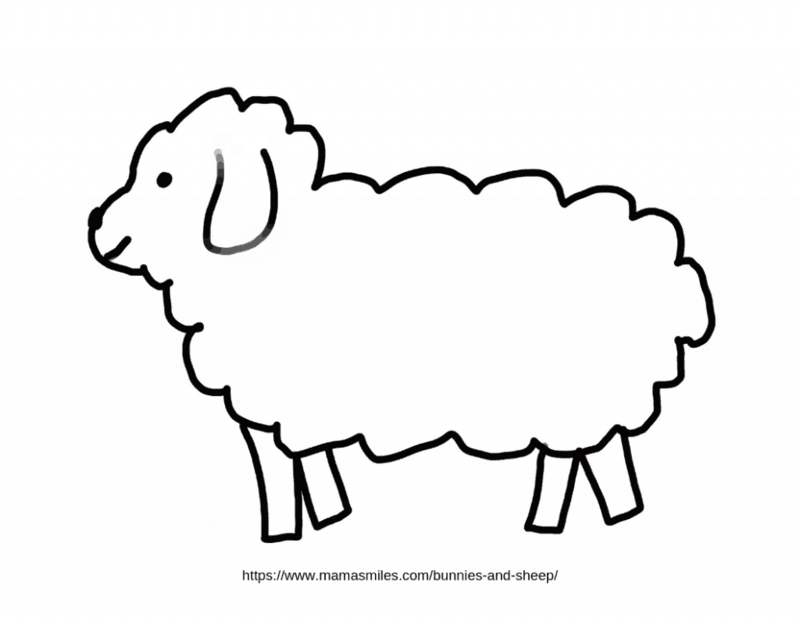 I’d love to see how your use these bunny and sheep coloring pages! It does seem that the simplest activities are often the most fun! We almost did this same craft today!! Your library sounds fabulous! I love your kids’ work, and Johnny being a minimalist is great! Emily brought home a craft project from school today – it was a bunny painted with spool prints. She cried out in dismay when she discovered the cotton ball bobtail had fallen off and a frantic search ensued. It was finally found and duly reglued on. Kids and cotton-ball art are so funny. I think Johnny might catch on soon, though! i love johnny’s craft! and the next post where he is licking the water off the patio. classic! That’s awesome! We did snowmen snowball things back in December. 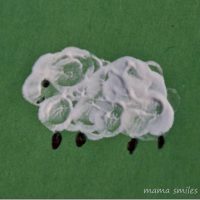 My son really liked glueing the cotton balls but I’ve been at a loss of what to do next! I’m not very creative but we’ll have to find some sheep to put coton balls on! Eraser stamped is a great idea to get some fun sensory ideas.